Is it easy to find a bathroom in Italy? 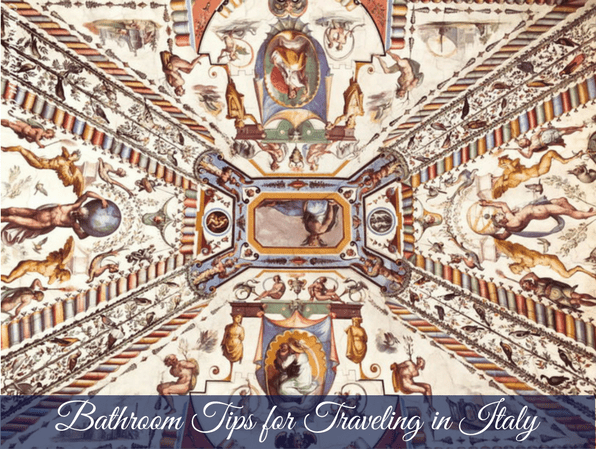 Well, from a traveller’s perspective finding a bathroom in Italy can be a lot more of a challenge than many other countries, so I thought I would share a few little tips to make your travel a little simpler and give you the heads up in advance. When I take my women’s group tours to Italy each year, I know how access to bathrooms can be a big topic because hey, let’s face it, it’s not easy to enjoy yourself when you’re feeling discomfort. So just for you a few bathroom tips for the ladies out there heading to Italy. You can come to Italy with my women’s tours to Italy or maybe you just want to create your own Fabulous Italy Getaway. Access it here and watch the online workshop right away.